A WAVE of almost 800 cases in which men were found to be financially supporting children they did not father has prompted calls for counselling to be compulsory, and partly subsidised, whenever family DNA tests are conducted. The national council of single mothers and their children believes that children who find out the men they thought were their fathers were not are being damaged by a system that does not look after the emotional dimension of DNA testing results. Since changes to child support laws six years ago, federal government figures show there have been 773 cases of men using DNA testing to show they were not biologically related to children they had been supporting. In 679 of the cases, the courts have not forced mothers to pay back the money they have received. Since January 2007, the total combined amount of all orders received by the department was $750,552.48. University of South Australia family researcher Elspeth McInnes, who is also policy spokeswoman for the national council of single mothers and their children, has called for compulsory counselling in all cases, because she fears that paternity tests are damaging children. “It is as damaging as a child to learn that your father was tested to see if he was your father or not, as it is to learn that the person you thought was your father is not,” Dr McInnes said. She said when DNA testing was to be conducted by consent or court order, each parent should have mandatory counselling before proceeding and when results were delivered. She argued that pre-counselling should address the implications of possible outcomes and think through how each parent might deal with the outcomes and what that might mean for their child. “Post-counselling at the point of results delivery should include options for further referrals for psychological support to manage the potential fall-out of a father finding out he is the father after all, and the impact on the relationship between the parents and the father’s relationship with the child he wanted to think was not his,” Dr McInnes said. “If he is not the father, then there is the issue of whether he terminates his relationship with the child and what that means for the child’s wellbeing and future”. She revealed that while many men had used DNA to show they were not biologically related to children they had been supporting, data from Swinburne University had shown that about two in three men who get tested were the child’s biological father. 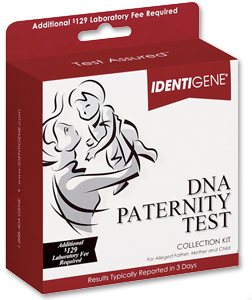 Lone Fathers Association spokesman Barry Williams said that, even though the laws had changed to give men court-ordered access to these tests, not all men were able to convince the court to allow them to get a paternity test. He backed the call for counselling for children going through this.